It can’t really be that intense, can it? 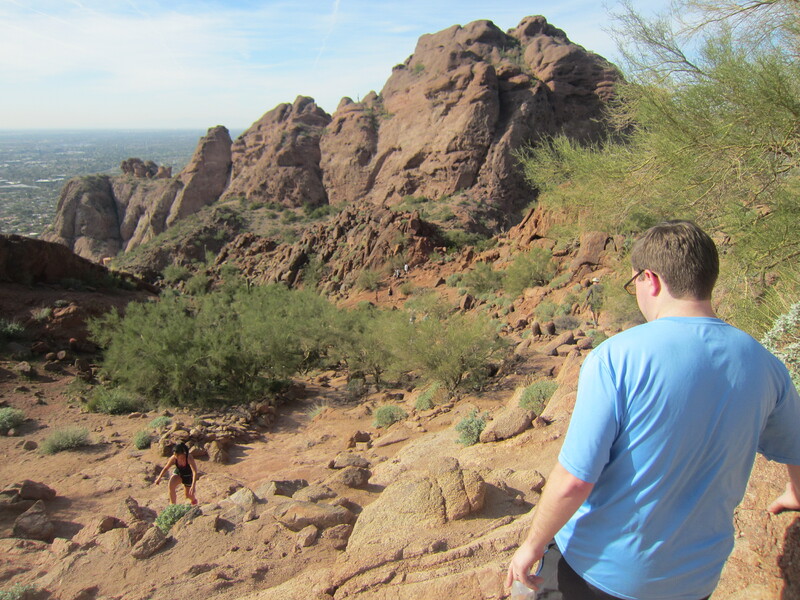 I would go back to Phoenix just to go hiking again. I’m not exactly an outdoor girl, so I think that says a lot. We hiked twice. The second time we incorrectly got the impression we could run up the mountain so didn’t bring a camera. 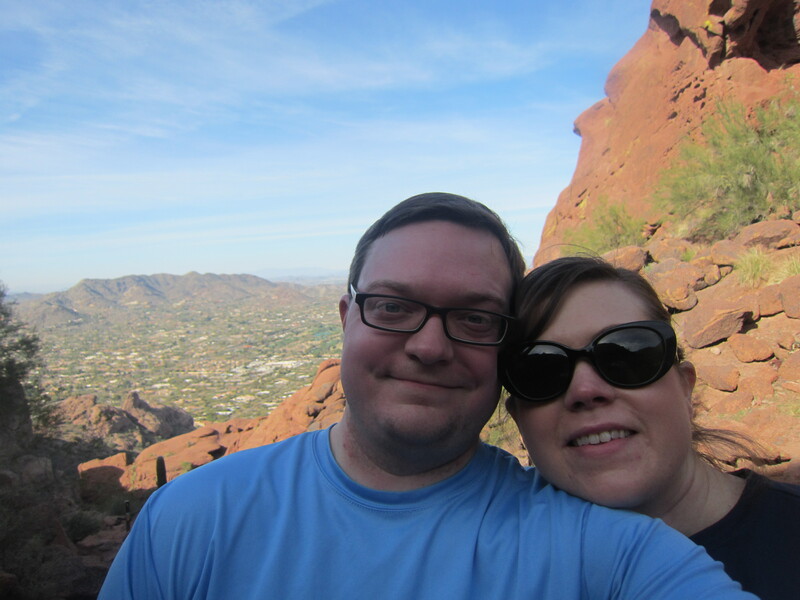 That turned out to not be the case, so all of these pictures are from our first hike on Camelback Mountain. 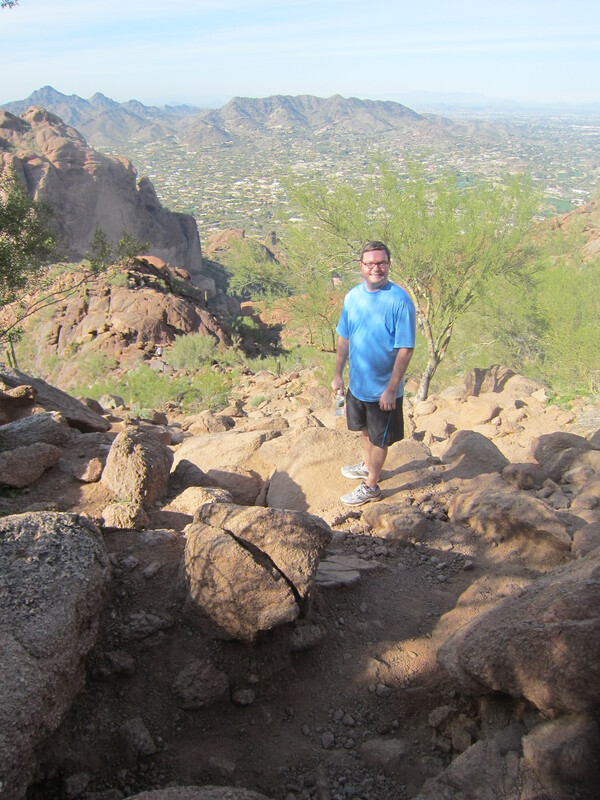 We hiked Camelback our first day in Phoenix. 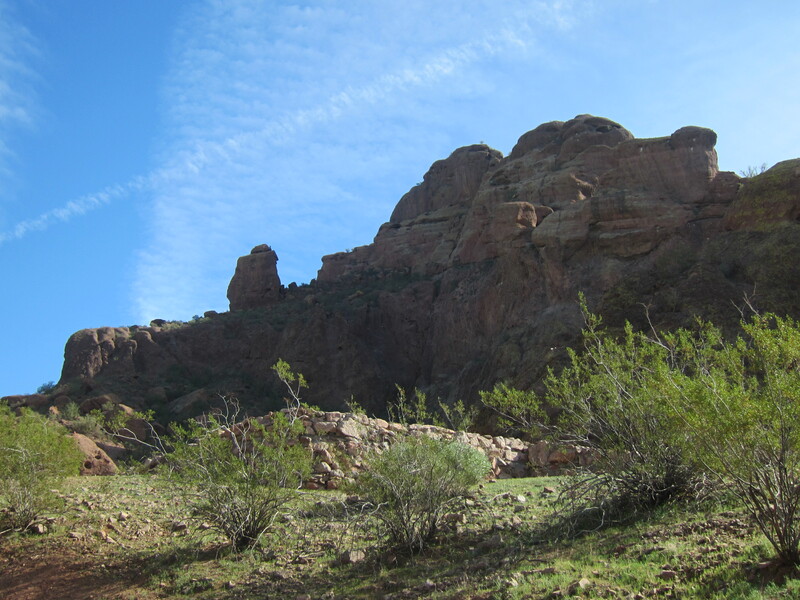 We asked the concierge about the best hikes in the area. 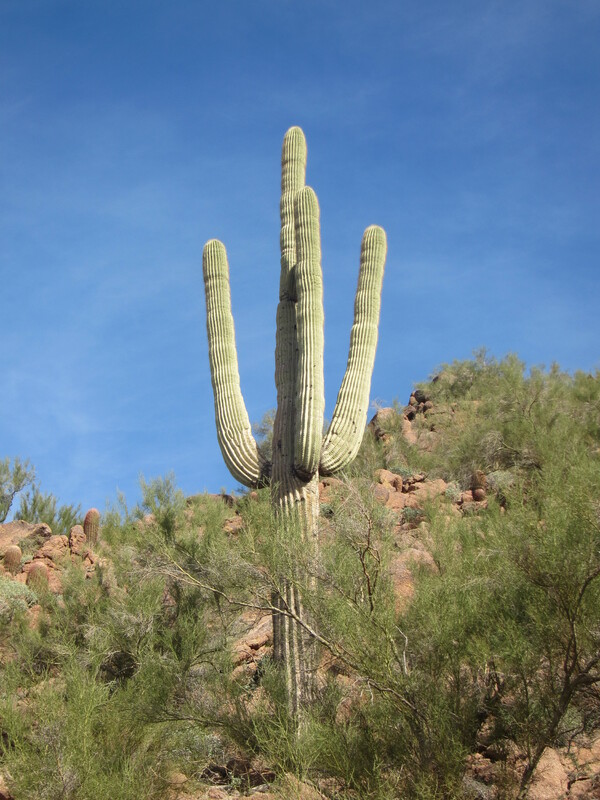 He assured us that Camelback, while a little intense, was the best. 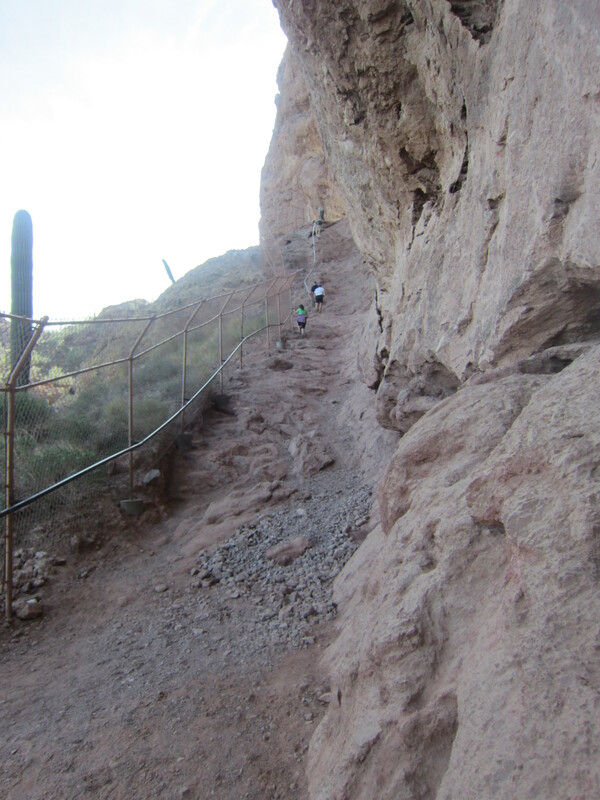 Lucky us, the Echo Canyon trail had just opened back up again after being closed for a year! Perfect! When he said intense, we thought a few steep slopes on a dirt road leading up the the summit, or some other high point of the mountain. He was pretty nonchalant about it, really. We had no second thoughts. Intense actually meant more than just hiking. 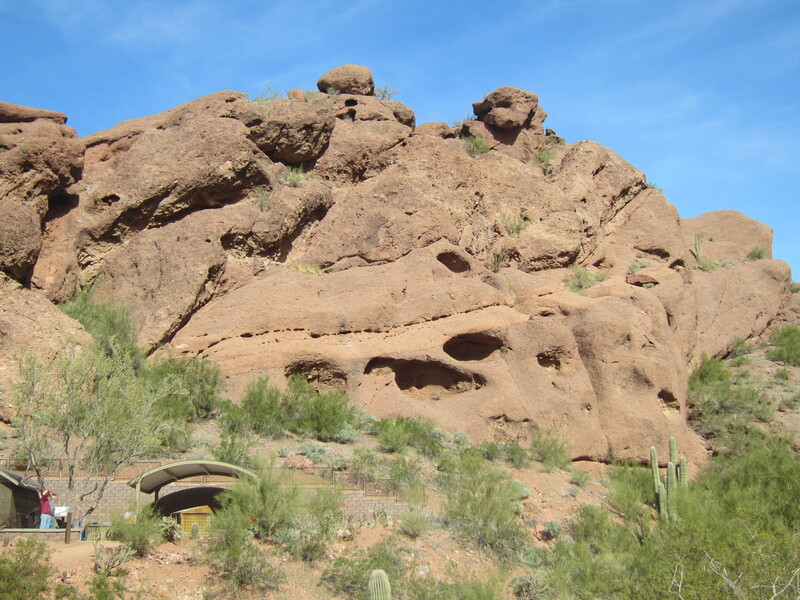 It meant climbing over steep rocks formations. This is a little over 1.25 mile hike and 2,704 feet in elevation! 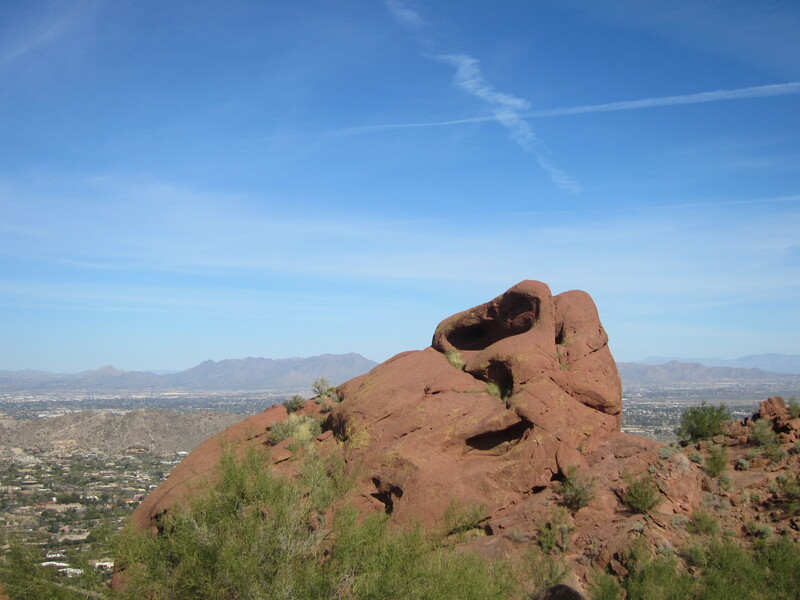 Before we saw any rock formations, there was a sign that warned to not become a Camelback Mountain statistic. Apparently people are rescued from this mountain all the time. You should have 36 oz. of water per hour per person. We had one a tiny bottle. Me being me, I started to get nervous. Sean was fine. We did just fine, but at a certain point I became nervous about how it would feel to come down such steep rocks. We saw a girl who sprained her foot so bad she couldn’t put her shoe back on. I did not want to be that girl or any other Camelback statistic. With about 300 elevated feet left to go Sean asked if I was okay. I completely chickened out and said I couldn’t go any higher. He didn’t really show it, but I think he was a little disappointed. I asked him a million times if he was really okay not to go to the top and he assured me he was. Maybe not quite in the same breath but shortly after he said we should come back to Phoenix one day so we can make it to the top. Both coming down and going up was a full body experience for us. We used hands and legs and we stayed down so we wouldn’t take a tumble. People in Phoenix do this every day. They flew up and down the mountain. Good for them. Slow and steady definitely won our race. That night for dinner we went to Los Dos Molinos at the recommendation of one of Sean’s law school classmates and fellow conference attendee. 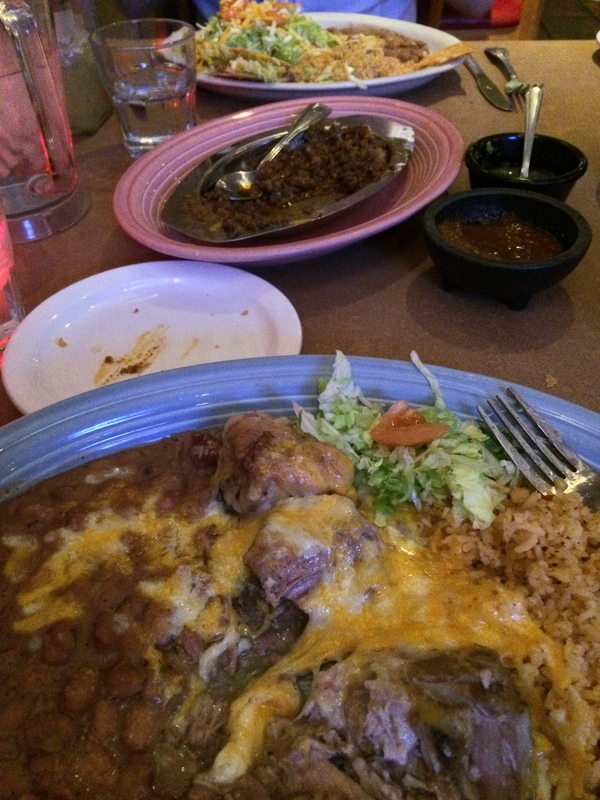 Los Dos Molinos has the hottest Mexican food in Phoenix. Perfect! We love Mexican! We love spice! Sean always puts at least seven Serrano peppers in our guacamole. The spicier the better. I don’t know the first thing about spice, it turns out. 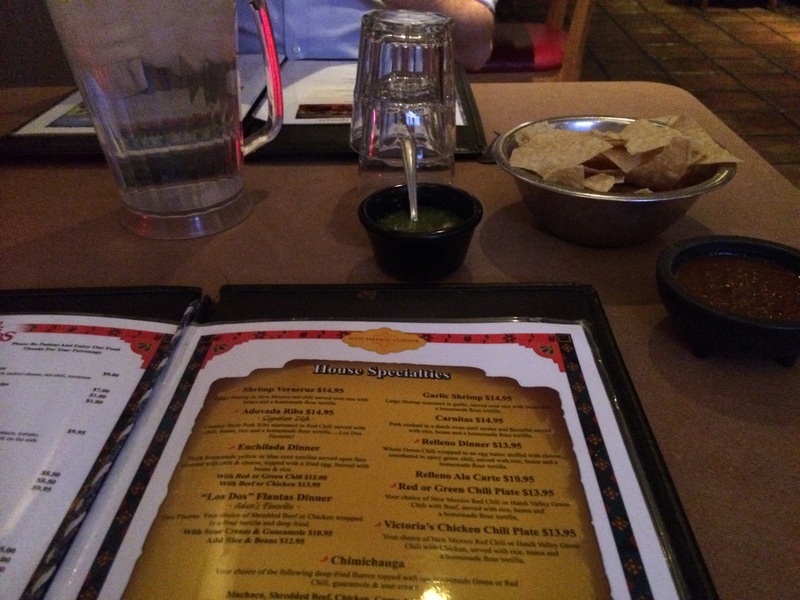 Mild is not an option at Los Dos Molinos. Spicy and spiciest are the options. Woo. My eyes water just thinking about it. I don’t think we’ll go back. It was a little much. Fun, but a little much. So, yes, it really can be that intense. 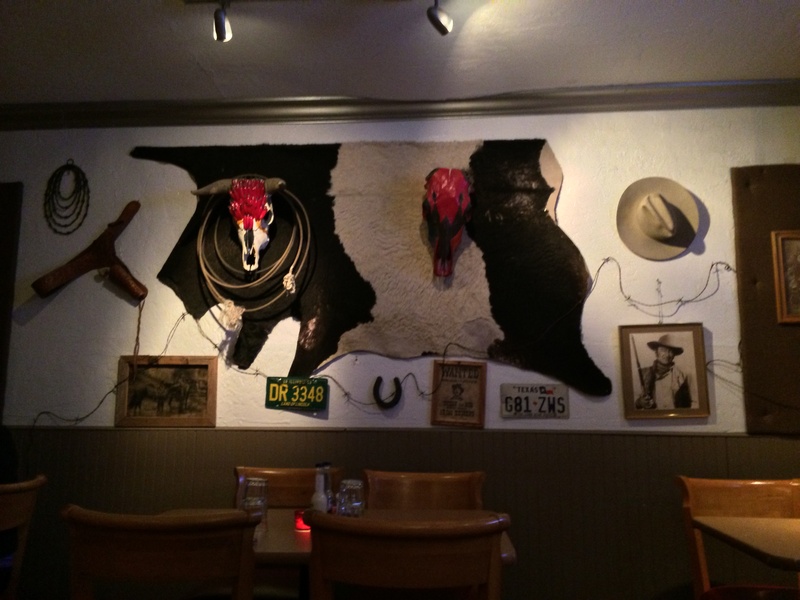 This entry was posted in travel by Sarah. Bookmark the permalink.